Reducing domestic food waste is fast becoming a core sustainability concern and one that is part of a greater debate regarding ‘end-of-use’. Every year in the UK alone 7.2 million tonnes of food is thrown away – most of which could have been eaten. That number rises to 670 million tonnes across the developed world, with rich countries primarily wasting food at consumer level. Food is part of a much wider issue of wastefulness for generations who have never had to practise frugality, and this behaviour is now under scrutiny. Increasingly people are waking up to the significance of this loss of resources. New behaviours and consumption patterns are slowly but surely finding their way to the fore. And is this really going to have any impact on the environment? According to Love-Food-Hate-Waste – dedicated to helping people cut food waste – changing our grocery buying habits for the better could be equivalent to taking 1 car in 5 off the UK streets. Our parents and grandparents can teach us a lesson here, so it is heartening to see the revival of such practices as home composting – ensuring the peelings, trimmings and over-ripe food goes back to ground, not landfill, also improving next year’s garden. Then too, there are a multitude of ‘frugal living’ blogs where people share their clever tips on how to save some money and be a little gentler towards the planet. Much talk about ‘end-of-use’ could be seen as governments, producers, businesses and brands throwing the sustainability ball back in the consumer’s court. However, I believe the case is rather one of how society at large engages in raising awareness of how to consume in the most efficient and sustainable way. Producers should re-invent end-of-use through design, while responsible retailers must start practising simple things such as ‘half price’ promotions on one item, rather than ‘two for one’, on easily perishable goods. 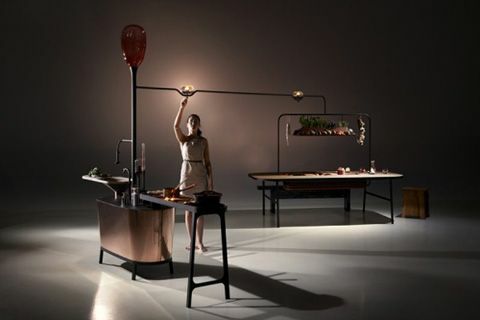 Philips have gone even further and have created ‘the microbial home’ as part of the Design Probes program, exploring future lifestyle scenarios. 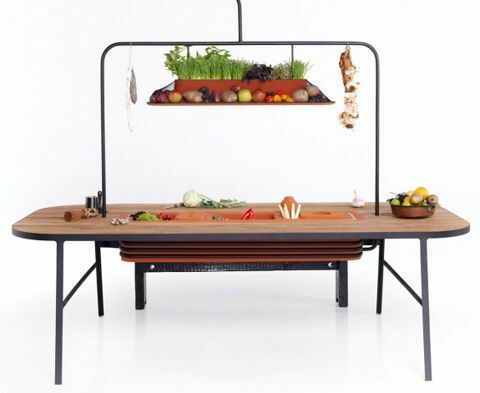 At the centre of the microbial home is a kitchen that is powered by leftovers via the ‘bio-digester island’ – the central hub of the design. This might not even be as futuristic as Philips projects, as many such initiatives to convert waste to usable energy are already coming on stream across the world, including in India and China. But as always, at the heart this issue are people. In the industrialised world we need a radical lesson and mindset shift on how our consumption behaviour determines the food lifecycle. The good news is that ‘positive influencers’ have successfully risen to the challenge of creating a community event conceived to change behaviour. 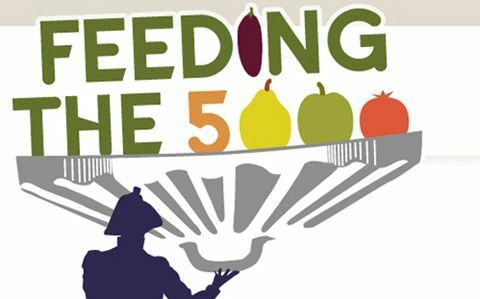 The ‘Feeding the 5000’ free lunch in Trafalgar square aims to “show how easy it is to reduce the unimaginable levels of food waste in the UK and internationally. Events like these are inviting government, businesses and individuals alike, to do our bit and hopefully have some fun and a full belly in the process.